Use code SPRINGFUN2019 & save $$$ online~Pet Friendly/Fenced yard! Lazy Dayz is located in the heart of Gulf Shores within walking distance of restaurants, souvenir shops, and the public beach. This 3 bedroom/ 2.5 bath house offers covered parking, large balconies, and a spacious backyard! Lazy Dayz is also pet-friendly—limit of 2 pets under 50lbs per reservation. The main floor offers a large Family Room with Sleeper Sofa, two Love Seats, and flat screen tv. The Kitchen sits adjacent to the living room and is fully stocked with cookware and large/ small appliances for your convenience. The main floor also offers the Master Bedroom with King Bedding, Private Bath, and balcony access. A half bath is located in the hallway, as well as the laundry room. The 2nd level offers two Guest Bedrooms that share a hall bath. Guest Bedroom 1 has a Queen size bed and Guest Bedroom 2 has a Daybed with Trundle. Both Guest Bedrooms offer flat screen tv’s. Lazy Dayz is centrally located between Mobile and Pensacola. Biloxi, MS Casinos are only two hours away! 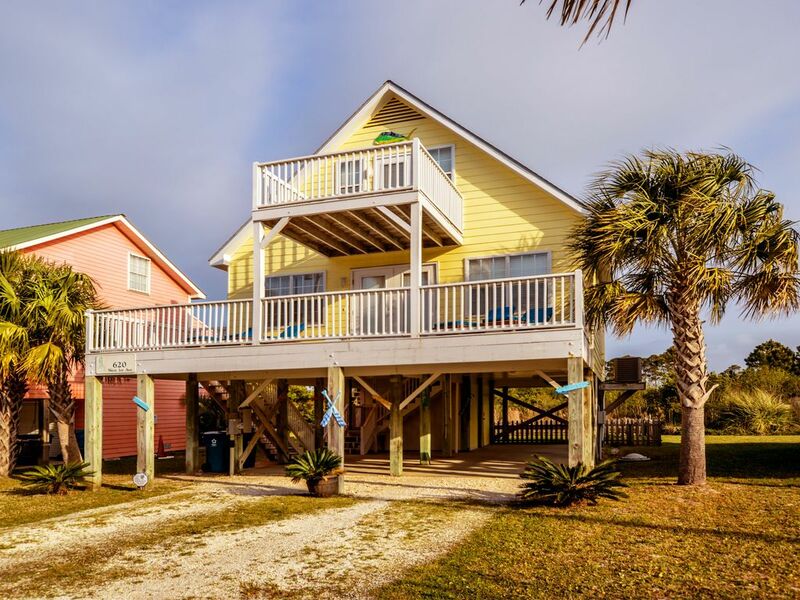 The Lighthouse is centrally located on East Beach in Gulf Shores and is within walking distance to popular attractions. MINIMUM AGE LIMIT FOR RENTALS IS 25! Rates listed above do not include: Departure Fee $220 Pet Fee $100 per pet (Limit of 2 per reservations 50lbs or less) + tax Processing Fee $65 Lodging Tax 13% Damage Waiver $69 Please use the BOOK NOW button to reserve your reservation today!